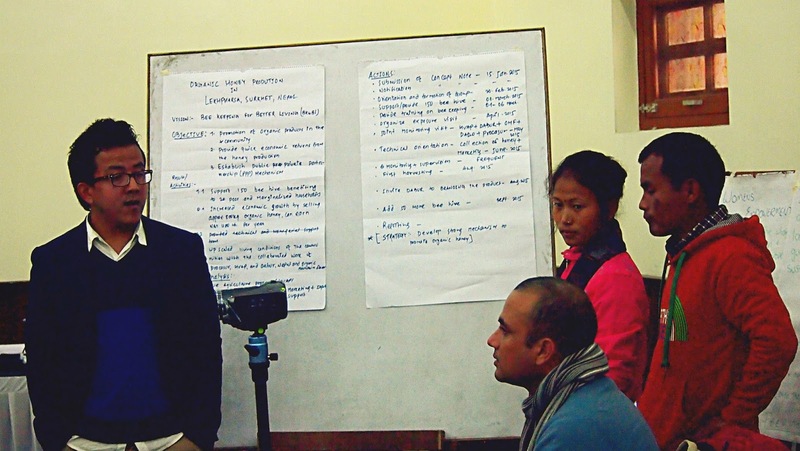 On the last day of December’s Learning Route (LR) adventure in Nepal, “Women’s Empowerment, New Businesses and Sustainable Natural Resource Management in Nepal”, our weary-but-adrenaline-fuelled participants presented their plans for innovation within their own country contexts. In country/project groups or individually, our colleagues and friends had spent the previous days interacting with the knowledge gained from the LR and incorporating it into their own experiences on the ground. Motivated by the chance to compete for starting capital of $2500US for implementation of the plan, the presentations were a reflection of the diversity of experiences in the room. Not only this, but it was clear that all participants were inspired by the work of the host cases and had successfully applied their past week’s learning into their plans. Our LR in Nepal was an eclectic group of development practitioners and civil society at the local, national and international levels. 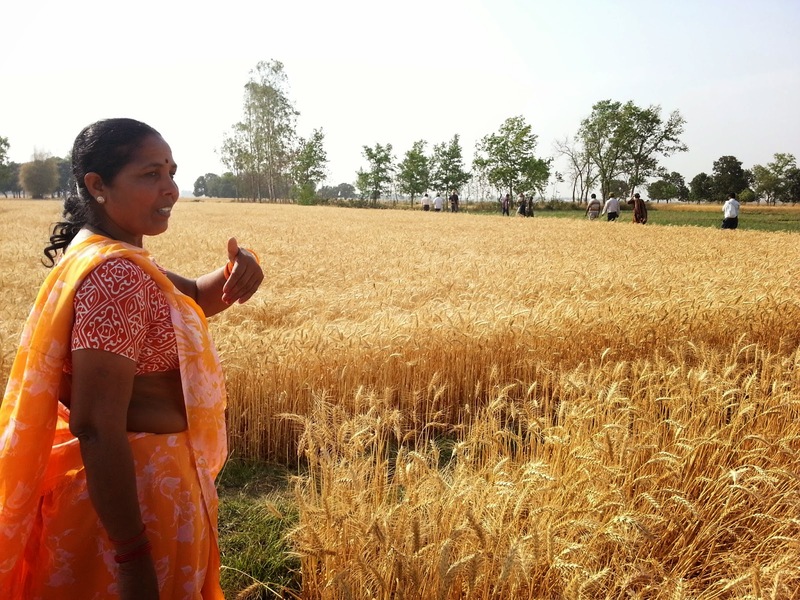 From farmers, to IFAD project holders, to village chief’s and gender focal points – our team shared a wealth of experiences. And when it came to the development of innovation plans, the results were equally as diverse. Our indigenous participants from Thailand - one man from the Akha community, one Lisu woman and a female youth from the Karen tribe – collaborated together to propose an intercommunity savings group for women. According to their proposal, in addition to the provision of financial services to their members, the formation of the group would facilitate networking between their three respective ethnic groups. For Thailand, such a group is certainly an innovative idea and for PROCASUR, the outcome of network building amongst the participants is a satisfying achievement. Meanwhile, our local Nepali participants representing various levels of development elected to work independently and thus we had a total of four innovation plans proposed from Nepal. If these plans are carried out all the way to fruition, the learning route could potentially catalyze the following outcomes; Organic Honey Production in Surket District and an Electric Small Irrigation Plan Project, both capable of generating income quickly and setting up a strong link between public and private partnership as well as the enhancement of socio-economic condition of rural indigenous Gurungs of Ghyalshowk VDC, Gorka district, Nepal. From the IFAD Country Office, Tajikistan, the focus was on Public- Private Partnership (PPP) in support of women led groups in order to set up sustainable export orientated women-led small business in cashmere, mohair, and wool processing and increasing their export capacities in Tajikistan, Kyrgyzstan and Afghanistan. While in Kenya, our participant representing the Department Of Social Development’s aim was the economic empowerment of women in Kirinyaga County. His overall goal being to empower women to maximize the use of available resources in a sustainable manner, all the while reducing fruit wastage, increasing incomes for rural women, enhancing bargaining power and maintaining better prices of products. Given the guidelines the LR participants were given when developing their plans (timeline no longer than 15 months, and the available capital being $2500), it was invigorating to see such ingenuity and… well… innovation come out of these sessions. As we now approach the deadline for Innovation Plan submission, we here at the PROCASUR Asia and the Pacific office wait with baited breath to see how our fellow LR adventurers have been able to develop their ideas following the close of the route.